Have I told you my husband and I keep bees? Well we do! Or at least my husband takes care of them, I take care of the kids. I think that is a fair trade! (He helps with the kids too;) We all enjoy the rewards; like the delicious honey and the versatile beeswax. We have even started our own little cottage food operation and sell honey, lip balm, beeswax, soap and lotion from our home. Yeah, we are the bees knees! I call the bees Josh's girls(the females are the worker bees) but don't worry...I am not too jealous. In fact I love that my husband is a beekeeper/apiarist. We have raw, local honey right at our fingertips! We use it in everything from smoothies to homemade bread. I can't imagine not having it at my disposal. Not only are the health benefits of local honey tremendous but the taste is beyond compare to the store bought stuff that comes from who knows where. I am always looking for recipes; sweet and savory to incorporate the honey into and have been using the beeswax in most of my homemade body product; lip balm, lotion and deodorant to name a few. I can never go back now! I love how it works! I recently decided to try making candles from the beeswax and I am happy to say the results were great and it was so easy to make! I know you're dying to know how I made them but sorry that's none of your beeswax...I know...I know, so cheesy but I just had to fit that in here somewhere...lol! 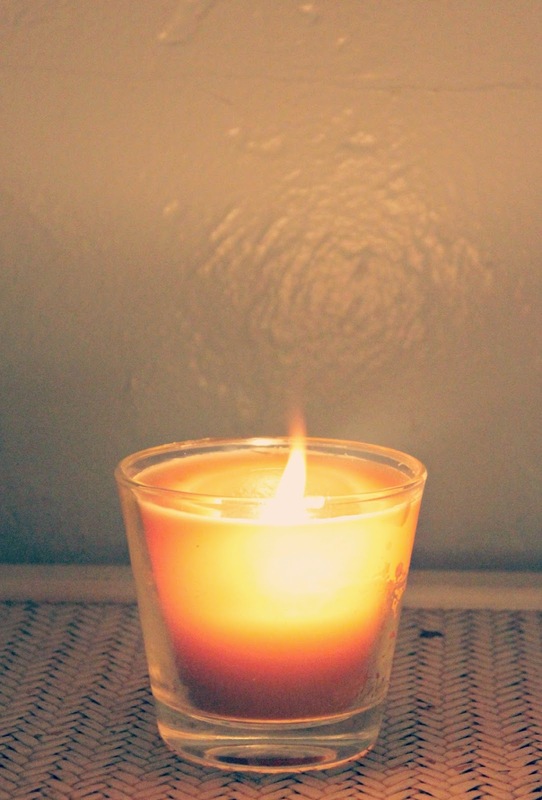 So why make a beeswax candle rather than buying a candle at the store? I am glad you asked! Besides the fact that beeswax is 100% natural; beeswax candles burn brighter, longer and cleaner than any other candle! It cleans the air by emitting negative ions that filter out dust and allergens and is even know to help people who have allergies and asthma! Learn more at beeswaxco.com. 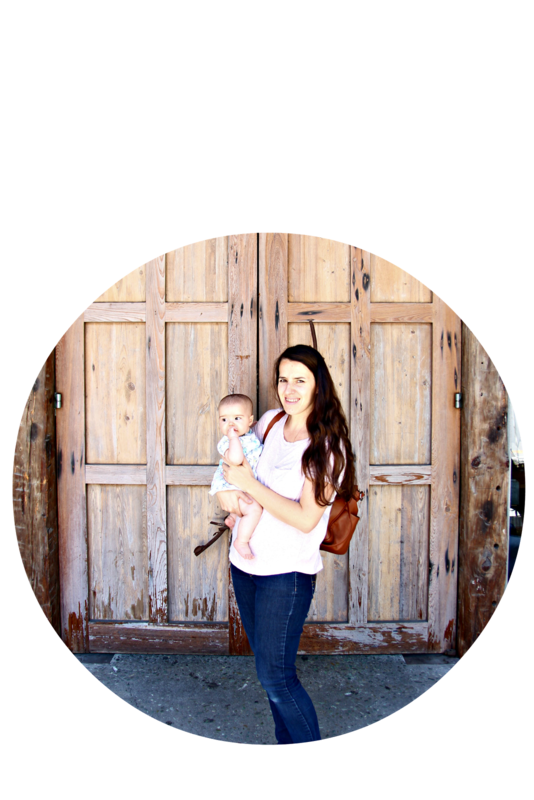 You will be amazed at all the benefits of beeswax!!! * A kitchen scale. I bought mine (where to buy). *about 10 oz( I eyeballed it) Beeswax. We do sell beeswax and honey if you are local! (harrishoney.com) if not you can order some (where to buy). I used some beeswax that wasn't filtered and that we didn't melt into molds. *12 oz Glass jar ( I used a candle jar I had from a candle I bought at Ikea) but any jar will do. * Pot and glass bowl that fit together to use as double boiler. 1. Weigh your beeswax. 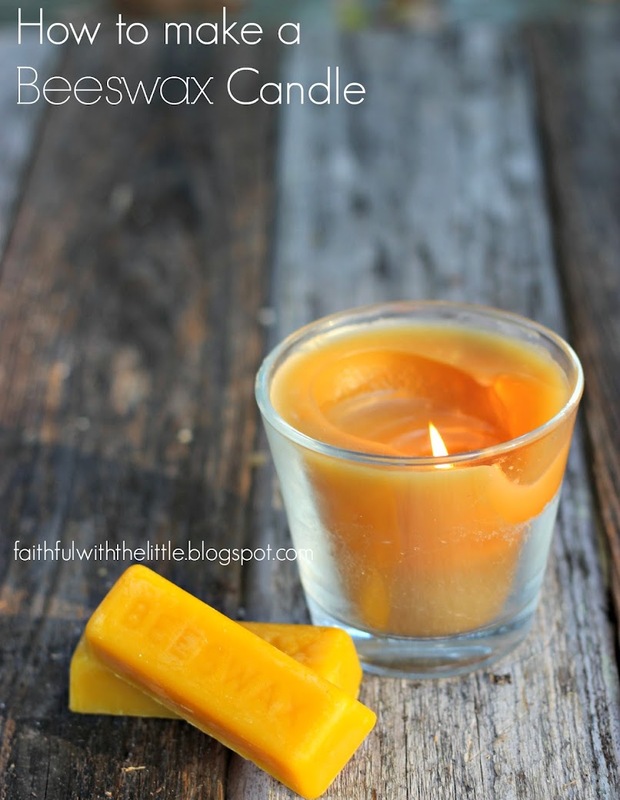 You can always melt more beeswax depending on how many candles you want to make. 1. Melt beeswax in a double boiler/ a pot filled halfway with water over medium heat. I use a glass bowl that I use exclusively for melting beeswax but if you clean your bowl while it's still warm it should come off. 2. When completely melted add fragrance of choice ( I used about 30 drops; give or take) I used Chestnut and Brown sugar fragrance that I got from a local bulk herb store. It smells so delicious I wish I could eat it. But you don't have to add fragrance if you don't want to because the beeswax is already naturally scented by honey! 3. Put your wick into your candle jar. I put the bottom of the wick into the beeswax and then put it in the jar so it would stay put. 4. Use a pencil or stick to lay on top of jar and wind the wick around it. 5. Pour melted beeswax into jar. 6. Let cool for about an hour. 7. Cut the wick about an inch above the jar. If you cut it too small it will burn too quickly before it gets to the beeswax. I know because I cut it too short. Light and enjoy the steady flame and the sweet fragrance that fills your home. I don't know if you can see it but a bee came to to check out the beeswax while I was taking pictures outside! I think the bee approved of how I was using the beeswax that it and the rest of the hive worked so hard to make! They really do! That's awesome you were able to get some local beeswax I am just amazed at all the benefits! We melt out beeswax in a crockpot and then put it through a sieve to get any impurities out. Hope yours works! These candles of beeswax would be so much healthier than many commercial ones. A good tutorial. My father was an apiarist and we had all those good things when we were growing up. It is good to see your family enjoying them.